P.S. Getting to the home stretch, aren't you? What next? The cut I used was called something like boneless shoulder roast. It wasn't very expensive, but like I said it was a little under a pound, just enough for two people. 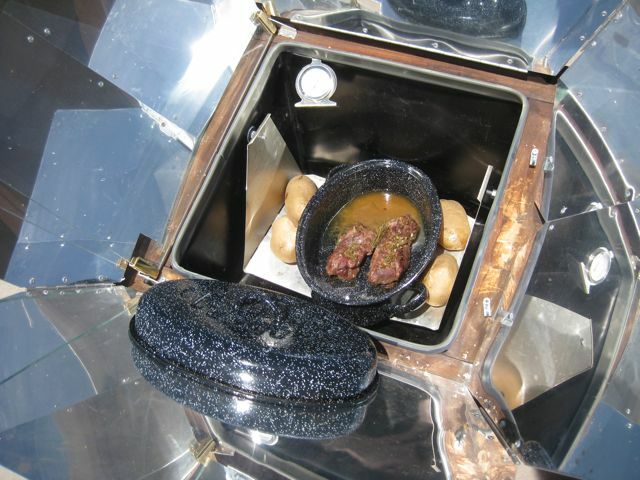 After the year is up - at the end of this month - I plan on keeping the blog going with less frequent updates and to start putting my recipes together for a solar cooking book.